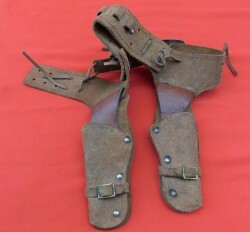 A well made original buff leather cap gun belt and holster rig. No makers name but well built . 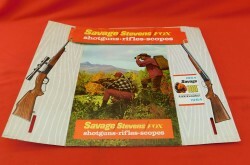 An item for the cap gun or western collector. 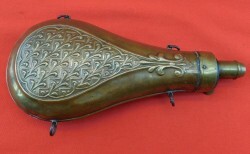 An English W Bartram powder flask for an express rifle. The spout is for 2 1/2 to 3 drams of powder. 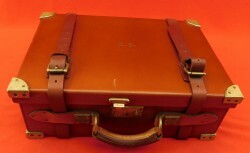 This "Nimrod" flask is covered with black morocco leather and remains in excellent condition. 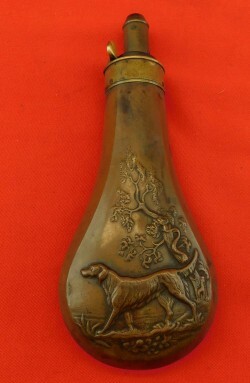 A James Dixon & Sons No 140 gun flask with the rabbit pattern front face, common top and original cord. 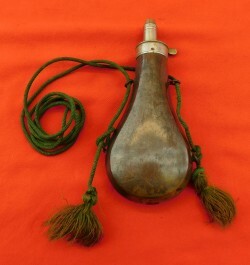 This flask and other Dixon prducts were sold by North American firms and described as "
Excellent example of a 19th Century English Hawksley shell flask. The flask is #388 on page 292 of "The Powder Flask Book" by Riling. This is an old Canadian miner's canteen. 9" by 4 3/4" all copper construction with iron wire handle. This piece has seen a lot of rough usage. 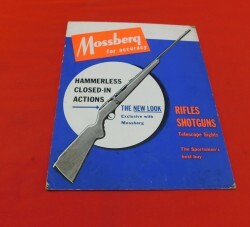 An original Bridgeport set of loading tools for a 20 gauge shotgun. 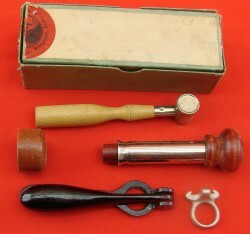 This set of tools remains in the original box. The patt. 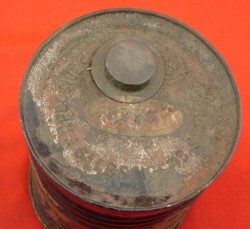 A sound old DuPont black powder can. The top shows some rust, the original cap and the FFF G paper sticker. The bottom shows the old complete label E1 DuPont de Nemours and Company. 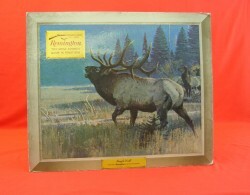 Original store display piece "Bugle Call" shows a bull elk. Size 25" by 22" , overall excellent condition slight wrinkles. On the exposed corners, the body of the display is quite sound. This is an attractive hand made model. The 12 1/2" barrel was turned on a lathe. 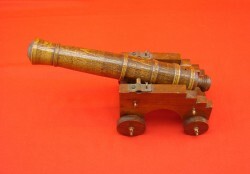 This is mounted on a navy or garrison style of carriage. Hand crafted brass and copper hardwear. 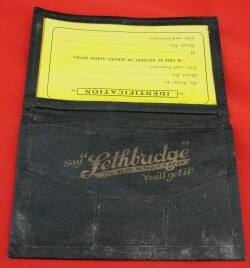 Nice WWI style wallet in excellent condition with a slogan on the inside of the purse reads "Lethbridge The Beer without a Peer You'll get it. 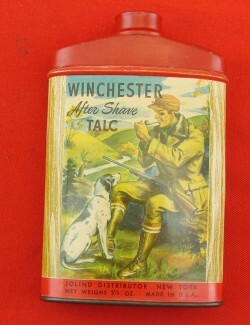 A very scarce item to this small brewery.